Are we all thankful that Thanksgiving is over? I love Thanksgiving, spending time with family and dear friends, mindful of all we have for which to be thankful. But it is a lot of work putting on a feast and I love cooking and entertaining so I know for some of you, who are not a glutton for punishment as I am, it is tremendously stressful. Well, my friends, the Sunday Supper crew is getting together today to share all of our favorite cookie traditions with you to help ease some of the stress you might still be feeling as you are getting ready for Christmas or the next big Holiday gathering at your house. Pour yourself a cup of coffee, put your feet up and take a look at all the wonderful recipes we are bringing to the table today. You are sure to find one that pulls on your heartstrings and calls you to the kitchen with your loved ones to spend an hour or two of quality time together during this busy Holiday season. 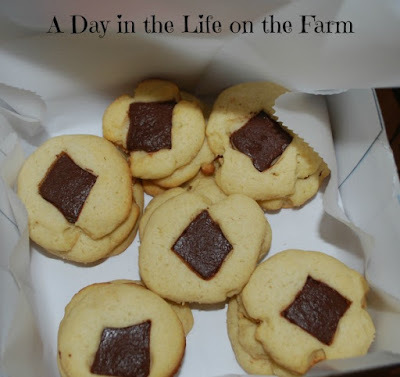 This is an easy peasy butter cookie recipe. Mix it all together in one bowl. Refrigerate for at least 2 hrs or overnight. 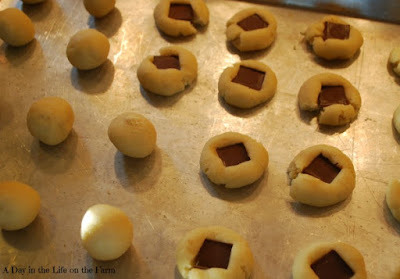 Roll into balls and place onto an ungreased cookie sheet. Press half of an Ande's mint candy into the center and bake for 10 minutes. I am sharing a recipe that is very special to me because it is my son, Chuck's, favorite Christmas cookie and I have made it for him each year since he was a toddler. 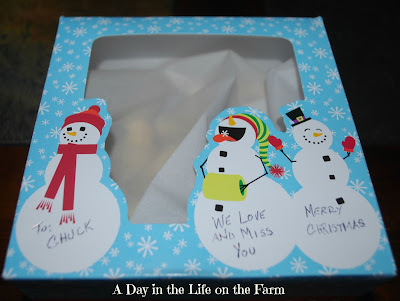 This year, Chuck isn't able to come home for Christmas. He is in the Navy and is currently stationed at Portsmouth Naval Hospital in Virginia. So as I made these cookies this year I shed some tears. Most were tears of happiness for wonderful memories of Christmases past and a few were selfish tears because I won't get my Christmas hug in person this year when he reaches for one of these cookies that I will be shipping to him. This recipe makes 2 1/2 dozen cookies. These are a wonderful, tender butter cookie with a minty treat included. They are easy to make and quick to disappear. I packed up a dozen and a half to send to our son. And quickly sealed the package so that they all didn't get eaten before I had a chance to mail them. Cream butter, sugar, egg, salt and vanilla together in the bowl of a stand mixer fitted with the paddle attachment. Reduce mixer speed to slow and gradually add flour until combined. Place dough in the refrigerator for at least 2 hrs or overnight. Let's take a look at some more Cookielicious recipes! 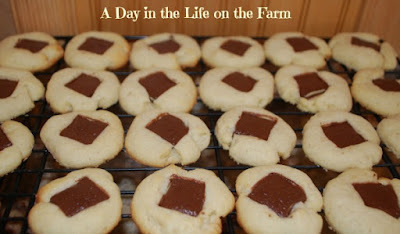 My kids love anything with chocolate and mint, so these cookies would be a huge hit around here!!! They look terrific!!! Thanks Liz. I made them on a whim 35 years ago and they became mandatory immediately. What a great flavor combo! One of my favorites! I love, love these! These would definitely be one of my favorites! I haven't met anyone yet that hasn't loved them, Nicole. 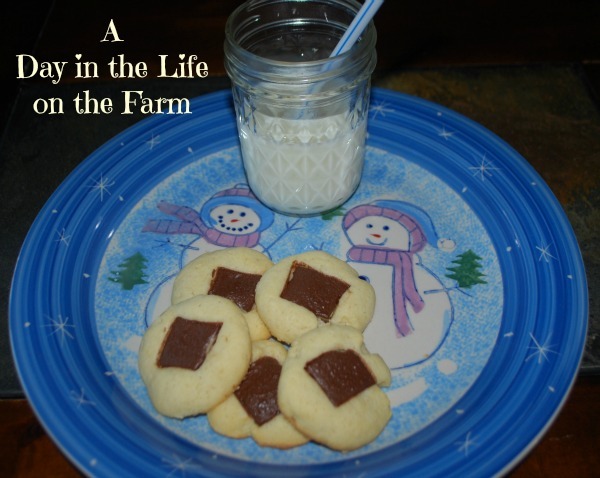 You have to love easy cookies for the holidays! I love the Andes mints. I have never used them for cookies. Thanks for the recipe! Easy peasy and delicious Paula. How creative to pair chocolate and mint. What a fun surprise! I love cookies stuffed with chocolate. Great idea!